Colorado trial attorney SEAN MCDERMOTT is a founding partner of the criminal defense and civil litigation practice, McDermott Stuart & Ward. His practice focuses on representation of those who have been charged with crimes as well as those who have experienced civil wrongs. At the heart of his practice is a strong belief that everyone charged as a criminal or involved in a personal injury matter should have an attorney who is dedicated to the case and who will protect their interests both inside and outside the courtroom. His extensive experience includes DUIs, fraud, homicide, drug trafficking, and other serious crimes. He also provides representation to those involved in vehicle accidents, and premises liability. Sean’s extensive background and successes earned him a preeminent AV Martindale-Hubbell rating. He has been named by the Top 100 Trial Lawyers as a National Trial Lawyer since 2013. 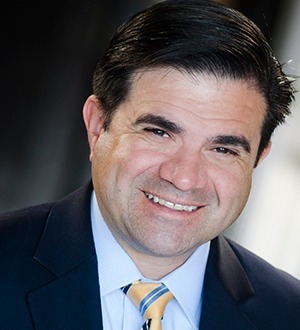 He is an active and respected member of the Colorado Trial Lawyers Association, the National Association of Criminal Defense Lawyers (NACDL), the Colorado Bar Association, and the Denver Bar Association. He has been a member of the Colorado Criminal Defense Bar since 1998 and served as the organization’s President in 2013-2014. Sean has consistently been named as a Colorado Super Lawyer by Super Lawyers Magazine. Prior to moving into private practice, he served in the Colorado Public Defender’s office. For more information about Sean McDermott visit www.MSWDenver.com.